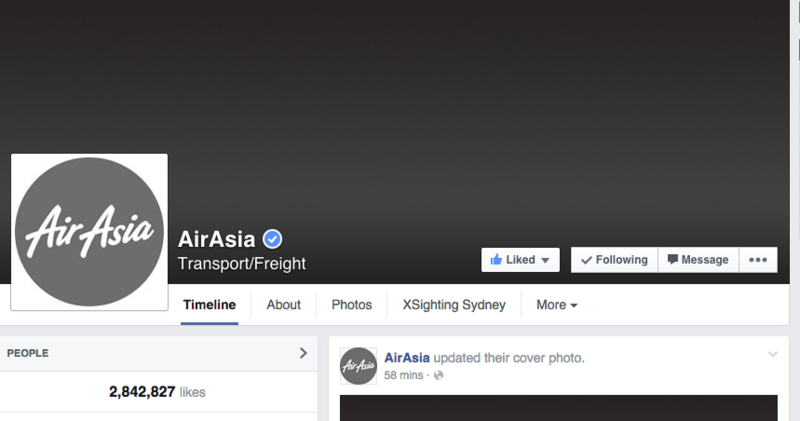 As the news broke that AirAsia lost contact with Flight 8501 they were quick to update their social media accounts as well as providing a statement and changing their logo to black-and-white. Disappointingly their main website did not provide any information or indicate that something had happened until well past the missing seven-hour mark when they eventually added a status update page (crisis.airasia.com) which provided the same updates that were available on Facebook three hours prior. They also changed their logo to black and white at the same time. Meanwhile, Changi airport was quick to respond with a temporary website (dark site) providing information on their media statements, contact information and useful links. Changi Airport Group also when black and white on social media. Please note, this chart does not include this missing AirAsia flight, nor corporate or military aircraft. Meanwhile, Malaysia Airlines, another carrier afflicted by tragedy this year, has turned its social media presence grey in solidarity with AirAsia, which did the same thing on Sunday after the plane’s disappearance was announced.